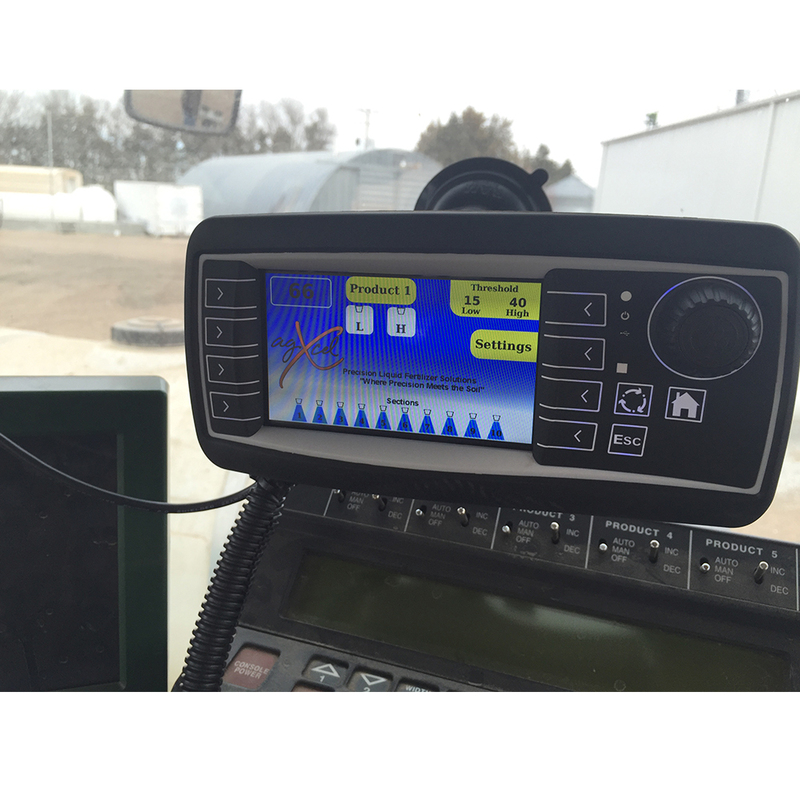 The AgXcel GX30i is an intelligent decision making microprocessor that manages and controls system pressure in a Variable Rate application environment. 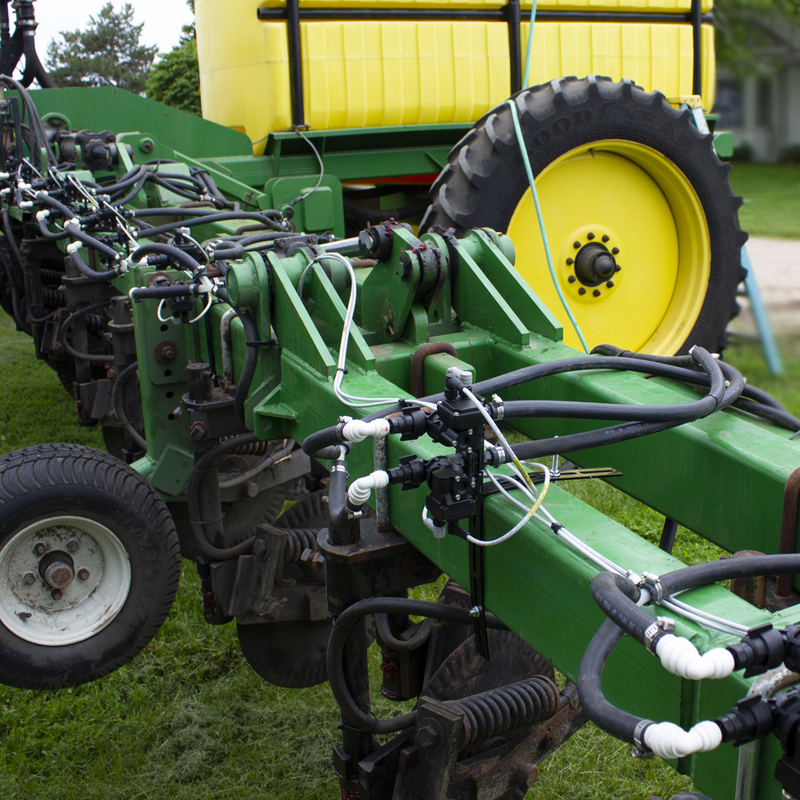 This patent pending solution was designed and developed by AgXcel to allow for the application of liquid fertilizer in an expansive range. Its dual valve management configuration is controlled by a central microprocessor intelligent module to manage system pressure within a specified range. Today’s liquid system application rates are limited by the size of each orifice on each row in which higher rates dramatically increase system pressure and lower rates significantly drop system pressure. Many prescription based applications require application rates that span anywhere from 20GPA-40GPA at any given moment. A single size orifice cannot sustain this broad range of application which in turn minimizes the application range, therefore requiring the user to settle for a lesser range of application. The AgXcel GX30iVRT addresses this issue with the ability to broaden this range by implementing a 3 stage orifice range system. Exhaustive testing at AgXcel has established the critical benefits of a 3 option orifice system. A 3 system orifice setup with our Dual Body micro valve setup allows for a much broader range of application both at higher rates and at lower rates. 2 orifice sizes are selected, one for the lower and one for the upper range. The 3rd orifice is created by allowing both micro valves to open which combines the lower and upper range into a dual application ratio, allowing for a much broader range. AgXcel also uses our GX6 micro tubing technology to size the application range with 11 different sizes, for solutions that are viscous or have high particle content. The micro valve controls the flow on each row and creates an instant “shut off” point therefore preventing system pressure loss when the liquid system goes into hold mode. Systems today use check valves to prevent “drain out” when the system goes into hold. System pressure will drop down to the check valve pressure setting. So if you have 8lb check valves, system pressure will drop down to approximately 8 psi if not lower. With the micro valves system, pressure is maintained when the valve is shut. This pressure maintaining feature results in a quicker application start when the system goes back into start mode. The liquid system does not have to build pressure back to it delivering rate which in turn causes start points not to have fertilizer placement until enough pressure is in the system to open up the check valves. Lower GPA rates are also achieved at lower PSI ratings. Since there is no longer a check valve that has to open after system pressure is built, with the micro valves they are either flowing or not flowing. This means, even if system pressure reduces down to 2PSI, liquid will still be flowing at the appropriate rate since no pressure is required to open a rated check valve. The dual micro valves now serve as the liquid systems “sectional valves” therefore, there no longer is the need to run exhaustive amounts of 3/4” feed hose thoughout the implement. 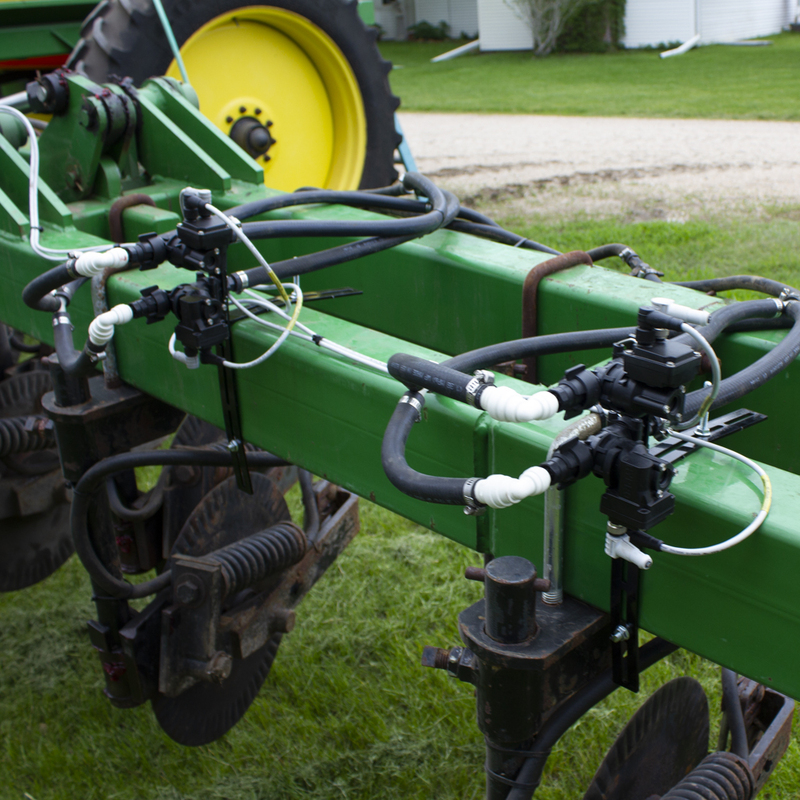 Implementing the dual micro valves on each row allows for a more responsive application when the system goes from hold position to run. 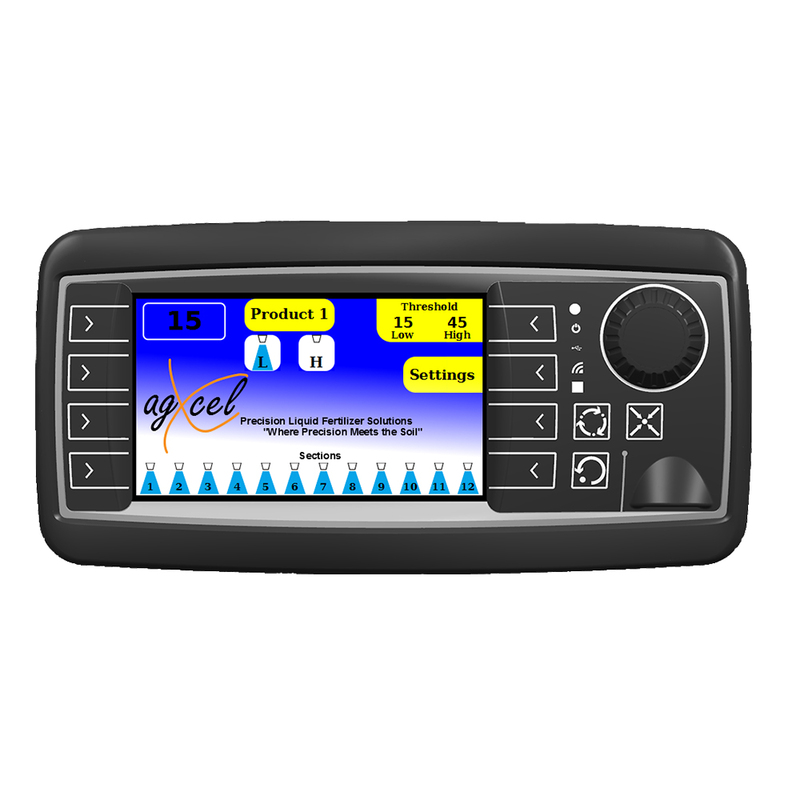 The AgXcel GX30iVRT intelligent module has an array of intelligence built into the system and designed to manage various pressure points seamlessly. With its ability to control each valve independently swath control is improved by allowing instant flow when the system returns to the flow position. 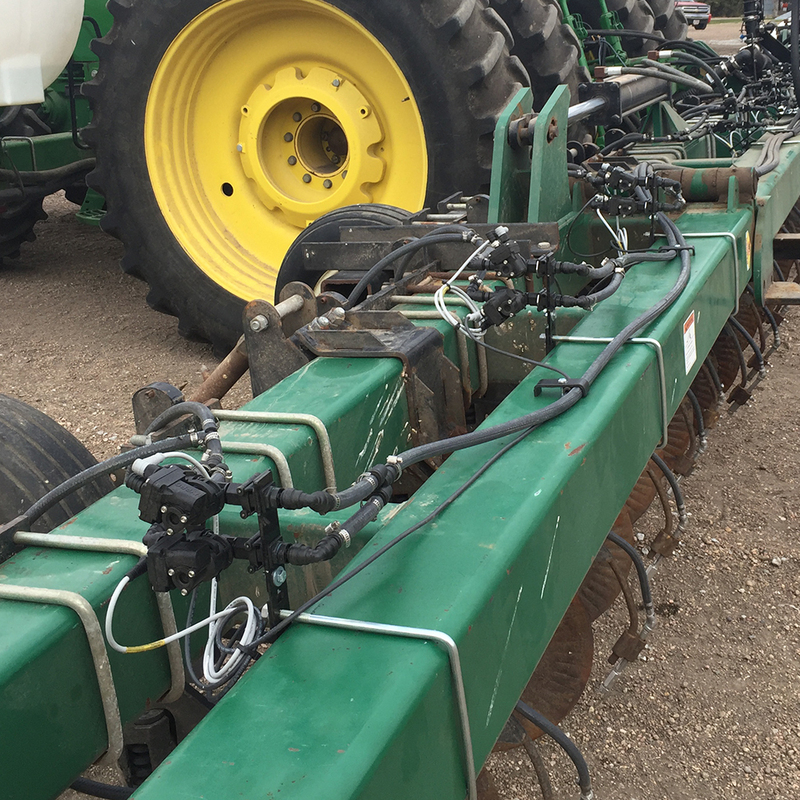 With the ability to manage each row independently and up to 12 sections the GX30iVRT has been developed for expandability for future swath and row management. Additionally, AgXcel has 2 versions of the GX30iVRT, one version is the GX30iVRT-L that is a light version that does not have swath control features for those customers who have smaller implements or do not require swath control. The second version of the GX30iVRT is a full feature set system.